“The United States has significant concerns and disagreements with a wide range of Cuba’s policies and actions,” the State Department said in a statement. But those concerns, it said “fall outside the criteria relevant to the rescission of a State Sponsor of Terrorism designation”. The department said that Mr Obama notified the US Congress of his intent to remove Cuba from the list on 14 April. Lawmakers had 45 days to take issue with his decision – a period that lapsed on Friday. The US government had maintained that Cuba has sheltered members of the Basque separatist group ETA and the Farc guerrilla group in Colombia, according to a government report. The Caribbean nation has frequently rejected its presence on the list, describing it as unfounded. Despite the changes, the US trade embargo with Cuba remains in place. Both events bring together managers of hotels, restaurants and palates; food and beverage retailers, chefs, bartenders, sommeliers, public relations industry, as well as intellectuals, historians and personalities of culture and society, as well as cocoa producers, researchers, chocolatiers and pastry chefs around eight countries, which include Venezuela, Mexico, France, Belgium and for the first time the United States, to discuss and examine this product since its discovery until their introduction by the Spaniards in Cuba, its uses and forms of modern development. 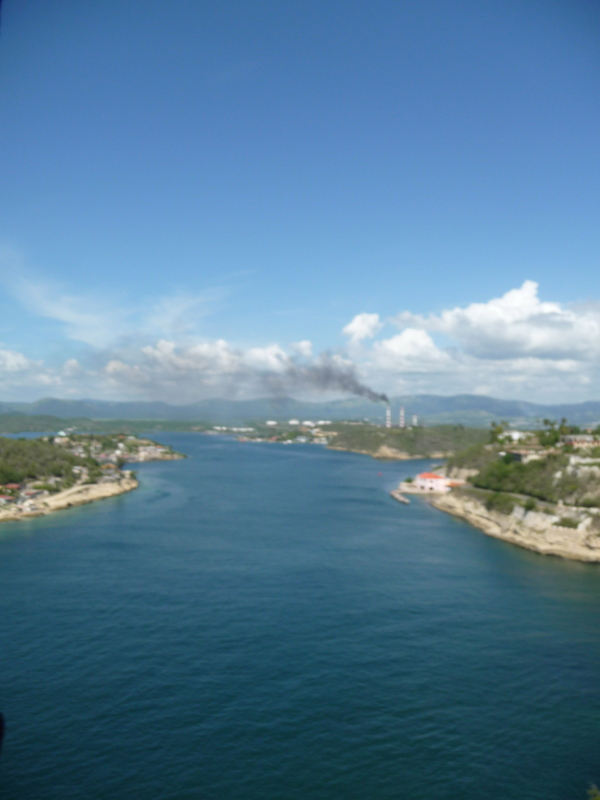 The environmental remediation of the harbor, is aimed at extracting around 47 vessels made from steel and wood. 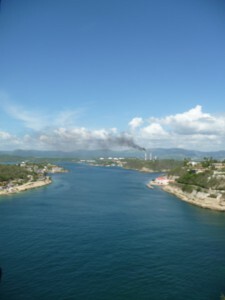 According to the project of the Port Authority, Geocuba and Citma, the amount represents about 42 000 tons of material. Despite the scope of the program scheduled to continue until the end of September, Gonzalez Diaz said that will not be touched any of wrecks of heritage value considered such as the US ship Merrimac, and French sailboat Bluette. The time frame for the US Congress to challenge a decision by President Obama to remove Cuba from a list of state sponsors of terrorism, will expire tomorrow. Cuba is inserted in the development of inmunotherapies against cancer, with several projects of research and biotechnological products in trials for the treatment of this condition, which is the leading cause of death in the country. These products include Cimavax EGF, a therapeutic vaccine for advanced lung cancer. It was developed in the Center of Molecular Immunology (CMI). The results are presented at an international workshop opened this Tuesday in Havana, with the presence of specialists of Sri Lanka, Serbia, Peru and Costa Rica. In statements to Prensa Latina, Agustín Lage, director of the CMI, explained that Cimavax EGF is opening road in the world. Several clinical trials are underway in countries of Europe and Latin America. The interest in the product is growing , as it was shown by American scientists who recently visited the island. It is shifting the burden of cancer desease in the population, not because there is more cancer cases, but because people live longer, he said. ‘ Malignant tumors, just as other diseases such as strokes and heart problems increase with age, so to the extent that we have more people in old age, there will be a higher prevalence of cancer. At the same time, patients have more survival, because the treatments are better ‘, he said. 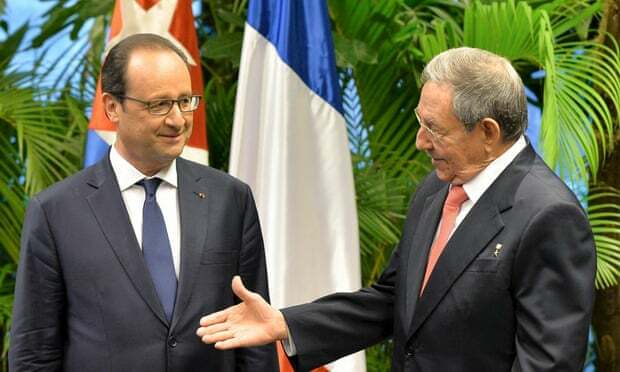 Cuba has announced an oil exploration deal with France in the Gulf of Mexico after the French president, François Hollande, made a historic visit to Cuba in which he called on the United States to end its trade embargo on the Communist-run country. French oil major Total signed an agreement on Monday to explore for offshore oil with Cuban state oil monopoly CubaPetroleo (Cupet). Cuban state-run television reported the exploration agreement without giving further details. On Monday Hollande said France “will be a faithful ally” to Cuba as the country reforms its centrally planned economy and tries to re-enter the global economic system.